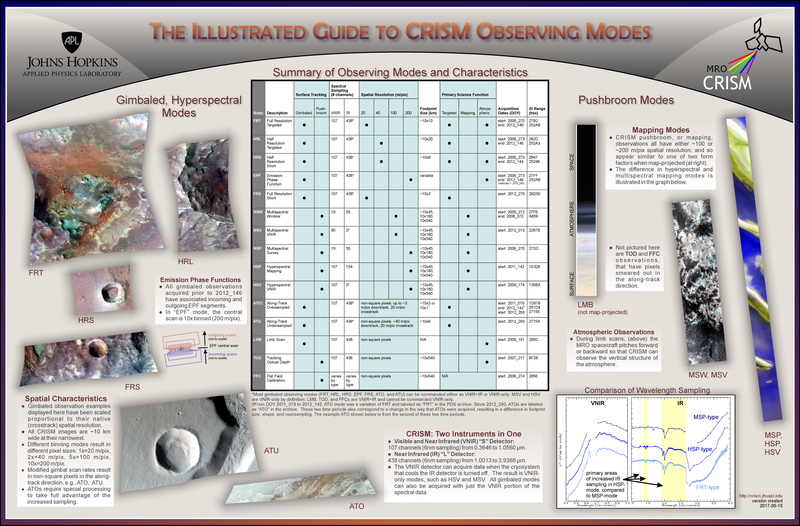 This hands-on tutorial and demonstration was conducted as part of the 3rd Planetary Data Workshop at the High Country Conference Center in Flagstaff, AZ, on Monday, June 12, 2017. Topics included: general introduction to CRISM, data access, standard processing using CRISM Analysis Toolkit (CAT), MTRDRs and data visualization, spectral analysis overview, and demo of the ENVI 5.4 interface. Handouts, a set of digital files, and an example data product archive were provided to participants and are replicated or linked below. Live demonstrations were not recorded.